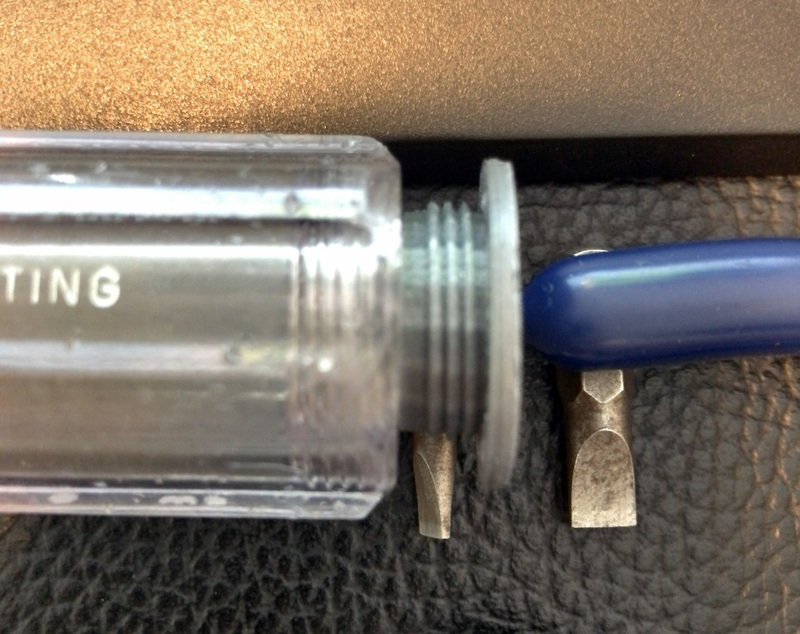 Decades ago, in a world where Sears was still around, existed the greatest screwdriver of all time. Then, my millennial dog, mistook this ancient tool for a chew toy. Fortunately the only casualty was the screw in cap. I didn’t have the cap to reference so built this from memory. 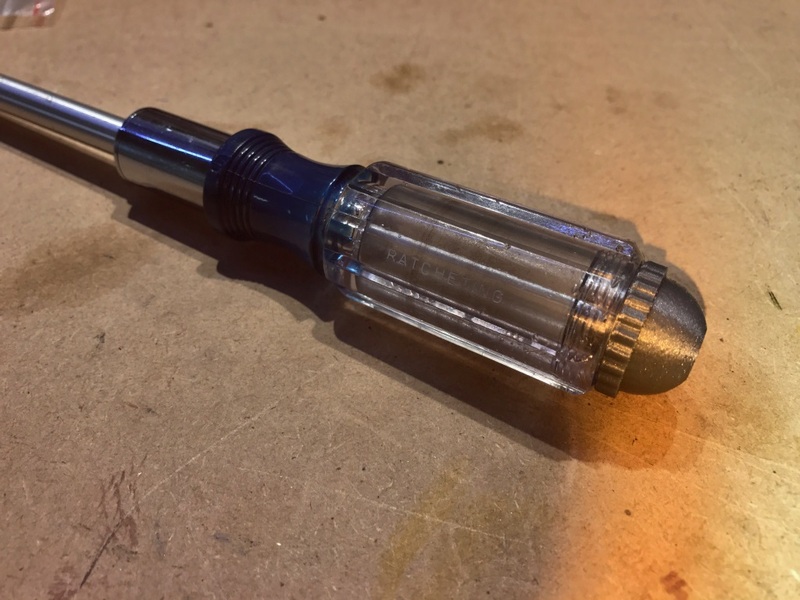 If you are at the Venn diagram intersection of: Craftsman Ratcheting Screwdriver & Own 3D Printer & Use Thingiverse & Missing Cap (and who isn’t), then this is for you! This was surprisingly hard build. Having created a dozen or so models, I thought I had this one licked. But the screw pattern is just not something that 3D packages either cater for or make intentionally obtuse and hard to use. I downloaded a screw pattern generator in Ruby, but that didn’t work. So I grabbed a bolt design for SketchUp that was designed for 3⁄4” pipe. It was close but the size and thread count was slightly out. After many measurements and a few trial and error builds, I scaled these threads until they finally worked. During this process I nearly gave up on SketchUp and found a few other products out there. The most interesting is OpenSCAD which I’ll have to try next.